Crystal Palace defender Damien Delaney has said new signing Christian Benteke 'is not Lionel Messi' and will need support from the squad. Benteke, 25, joined the Eagles from Liverpool for a club record £27m. The Premier League side have yet to win this season after losing 1-0 to both West Brom and Tottenham. "We're not signing Messi, he's a good player but not a player who is going to get the ball and make things happen," Delaney told the Evening Standard. "We have to get some ammunition for him, get some crosses in the box, give him supply". 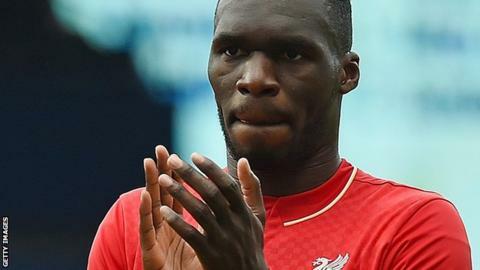 Benteke could make his debut on Tuesday when Palace face Blackpool in the EFL Cup, although the striker is short of match fitness. "(Benteke) brings a presence, he's a handful, but Connor Wickham is as well. It's time we stop talking about things and go and win games," Delaney added.